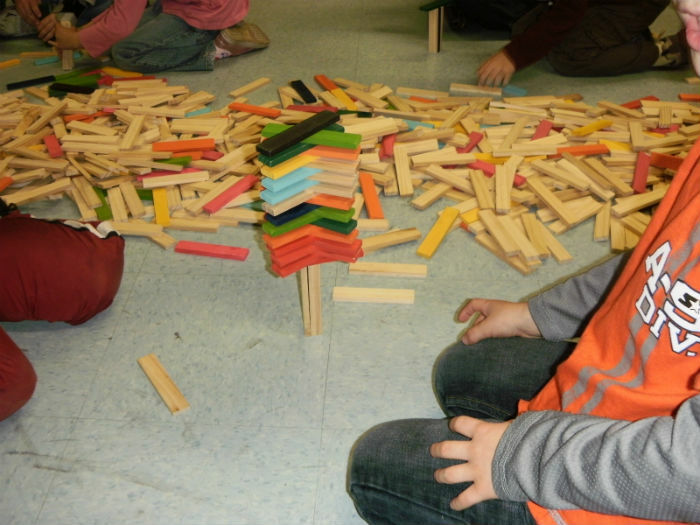 Working in teams of two or three, students use the simple but amazingly versatile Citiblocs Building Blocks to overcome a series of engaging and fun Problem Solving Tasks. 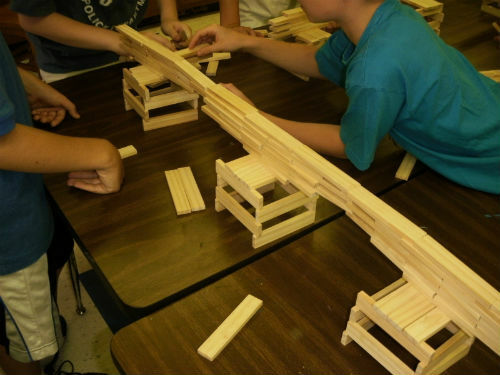 We'll take a look at the concept of Ratios, explore building for efficiency with limited resources and design bridges that span a widening number of obstacles. 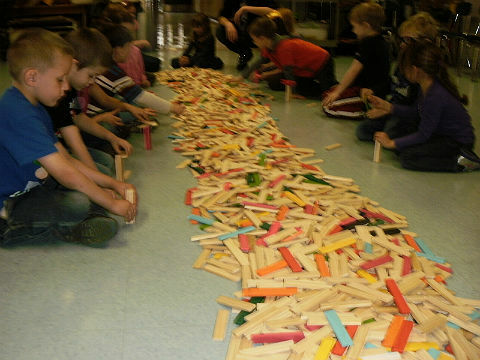 Students love racing against the clock and each other to build the tallest tower in the room! The instructor will create age-appropriate challenges for classes from Kindergarten to 7th Grade. This program is also available as a phenomenal All School Assembly.